Diabetes are of 2 types in a chronic illness, formerly known as adult or non-insulin diabetes. With this condition your body is not producing enough insulin or it is resistant to the insulin effects. Insulin is important substance in our bodies, because it regulates the metabolism of glucose (sugar), the all important fuel for our cells. The first option with this type of diabetes is to change your diet, eat healthy, exercise regularly and try to keep the healthy weight. Next step, if these changes do not work properly to manage your blood sugar, the doctor would prescribe insulin therapy or diabetes medications. 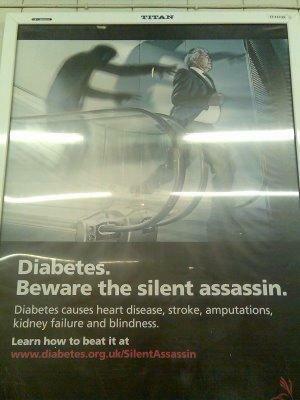 Diabetes is the condition that must be treated because the cost may be your life. Treatment for diabetes type 2 can include one or more medications. Some of the drugs are in the form of tablets and others must be injected. All medications for this illness works in three ways: they stimulate production of insulin in pancreas, inhibit production and release of glucose from the liver (your body needs less insulin that way), or the drugs may increase tissue sensitive to insulin. There are several groups of diabetes medications, and you should always consult your doctor for the drugs that will work best for you. Saxagliptin (Onglyza) and Sitagliptin (Januvia) are taken by mouth. Side effects of these tablets include respiratory infections, sore throat and headache, and there is a possibility of pancreas problems when using sitagliptin. These drugs do not affect the weight. Exenatide (Byetta) is taken by injection, two times a day. Possible problems may be weight loss, nausea, headache, dizziness, and in some cases even serious kidney problems. Repaglinide (Prandin) and Nateglinide (Starlix) are taken orally, three times a day. Side effects are lowering of your blood sugar and weight gain. Glipizide (Glucotrol), Glimepiride (Amaryl) and Glyburide (DiaBeta, Glynase) are all medications taken by mouth, and could be combined with other diabetes medications. Low levels of blood sugar, nausea and weight gain are the most likely side effects. Some medications are known to improve the effects of insulin. Metformin (Fortamet, Glucophage, others) is one of them. It is taken by mouth, and it may worsen LDL ("bad") cholesterol and triglycerides levels, cause nausea and diarrhea and sometimes cause a increase of lactic acid. Metformin do not cause weight gain. Rosiglitazone (Avandia) and Pioglitazone (Actos) also improve effectiveness of insulin. Those are oral medications, and they affect both "good" (HDL) and "bad" (LDL) cholesterol. Also, they might cause swelling and weight gain, worsen heart failure and increase the risk of heart attack. Problems with liver are rare side effects. Acarbose (Precose) and Miglitol (Glyset) affect absorption of the food. These are taken by mouth, three times a day. When using these medications it is possible to experience nausea and diarrhea, but you won’t gain any more weight. When choosing the best treatment for the type 2 diabetes the doctor will assist you to find the appropriate medications, to suit your specific needs. A healthy lifestyle, which include eating healthy, everyday physical activity and healthy body weight could significantly reduce the need for diabetes medications. Why is so difficult to create effective oral insulin?